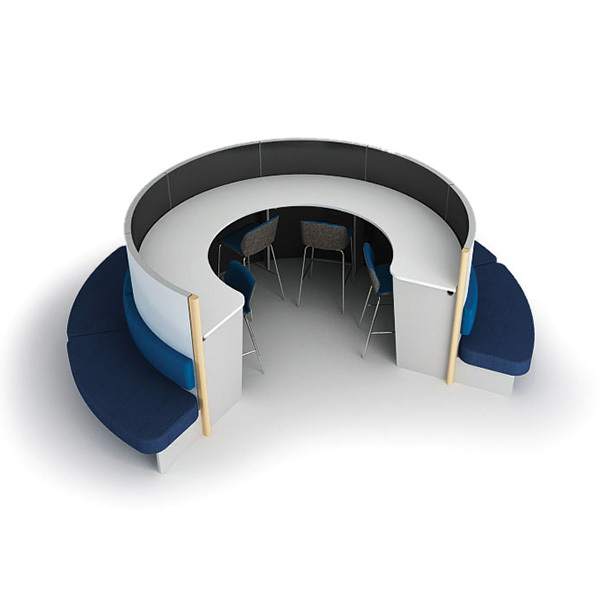 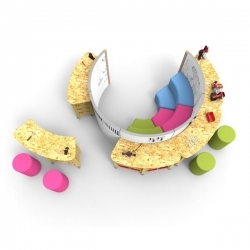 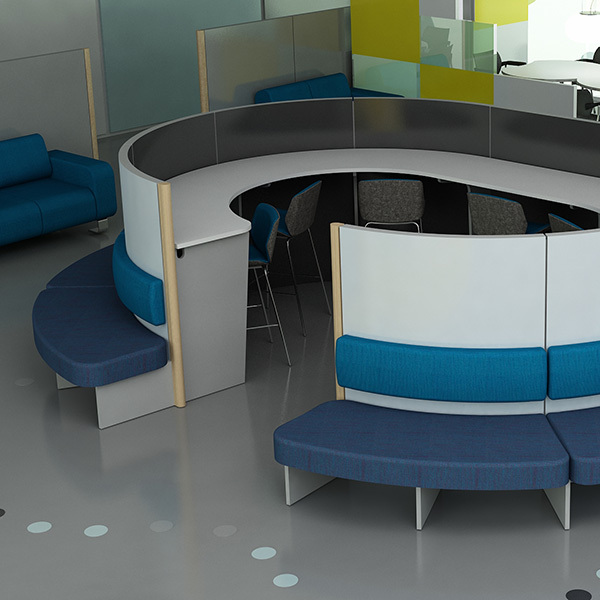 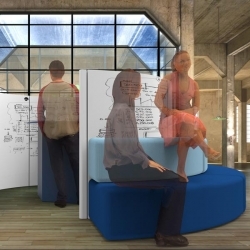 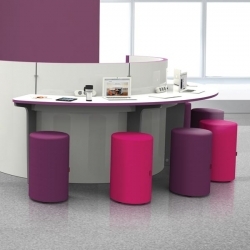 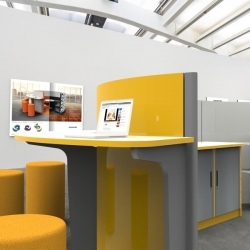 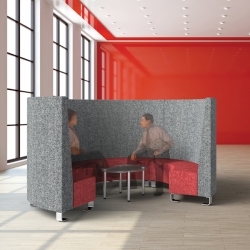 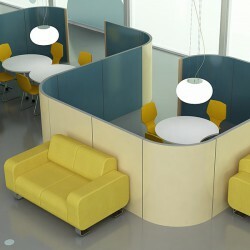 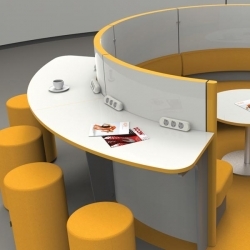 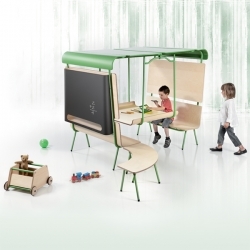 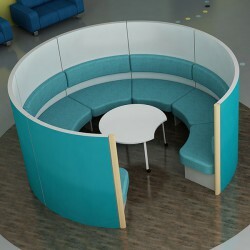 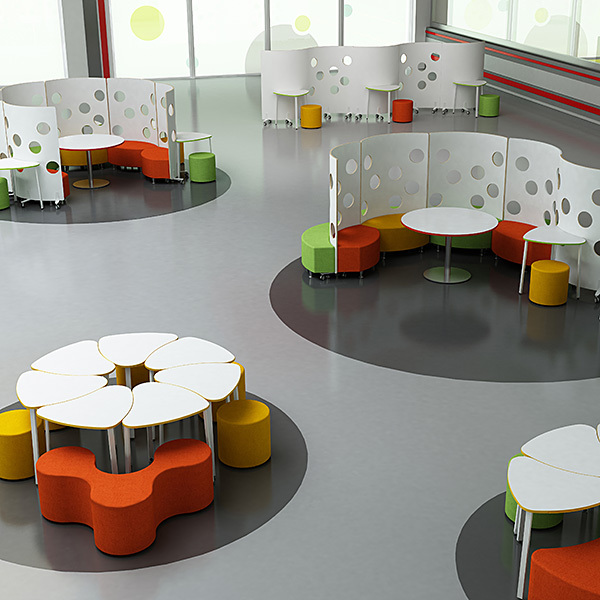 Guru is a popular variation of the classic Spaceoasis meeting pod. 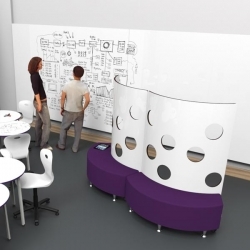 Touchdowns are provided on the concave inner face of the screen for IT based group study. 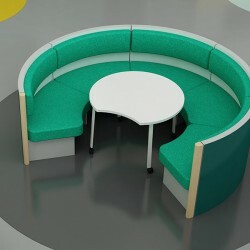 The outer convex seating is designed for relaxation and for informal work with books or tablet computers. 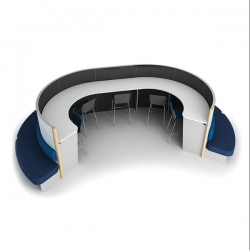 The Guru range is a scalable range of products that can be extended or reduced in size to suit individual needs. 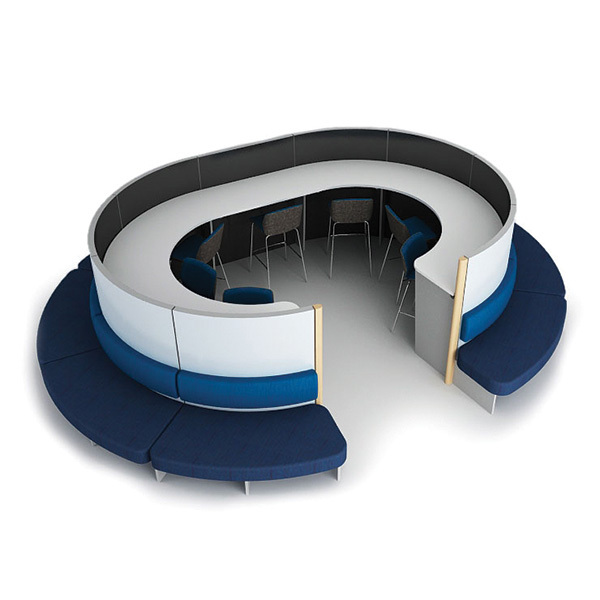 A wide range of additional furniture components can be added to the range to give the Guru products much more functionality.